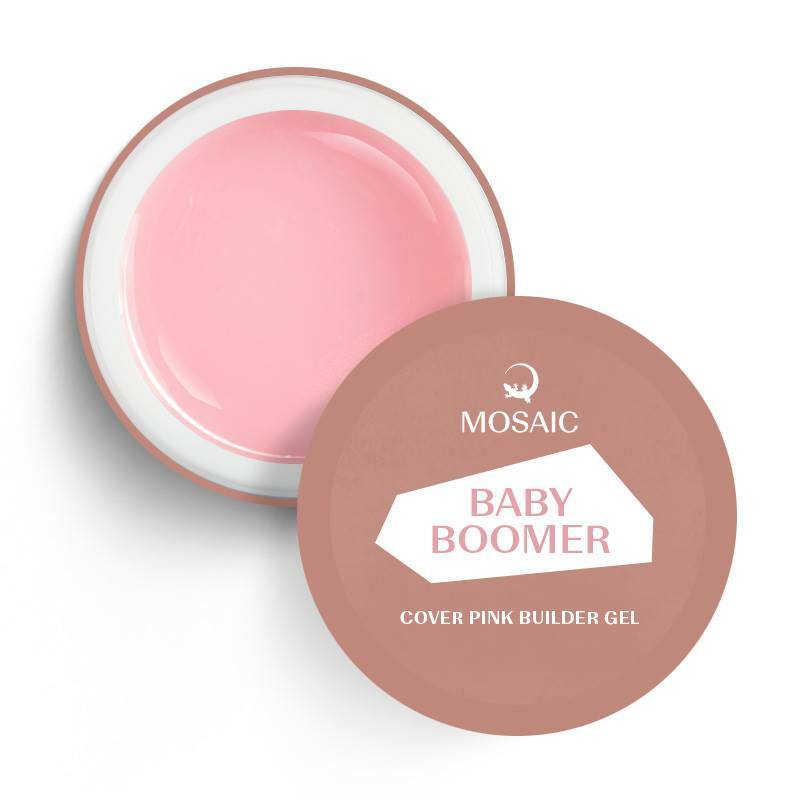 Mosaic Baby Boomer Gel is a medium viscosity self-leveling builder gel with a soft translucent milky-pink color. Very pigmented, so covers well even in a thin layer. When applying on a natural nail, use thin layer of Crystal gel first and cure for 20 seconds. Cure 2 minutes in standard 36w UV lamp or 1 minute in 18w LED UV.